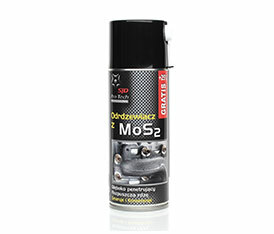 Rust Remover is a modern and succsessful product with bisulphide of molibden. Thanks to excellent penetrating skills it easily goes through corroded and intergrated elements. It makes easier demonting rusted elements. Molibeden bisulphide makes lasting of the elements longer, thanks to minimalasing friction. It has high oxidadtion resistance, it secures metal surfaces. Put it on rust elements, after 3 minutes unscrew. If it doesnt work, repet the proces.